Here in England we have very well regulated private security companies, and nobody is armed. The most closely-guarded business asset of these enterprises is their reputation. They typically observe the law carefully, in order to protect this. In previous years there have been two police officers standing outside the main entrance during protests to insure good order. This year they were not present. After having watched over well-behaved protesters for years, the police apparently can’t seen any reason to be there. This absence may have caused the Church of Scientology to over-react. 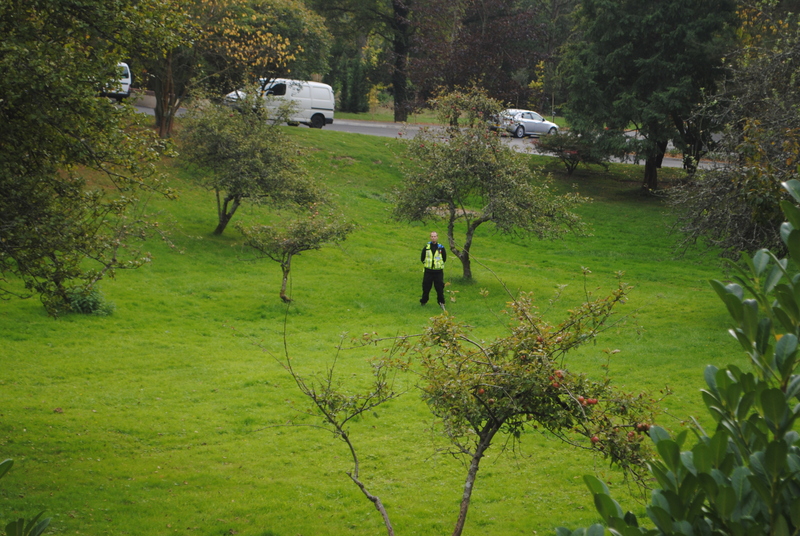 they have always hired private security, but this year, they seemed to have contracted for a lot more that they need. The very professional company who watches over the IAS event, has a good relationship with the small group of regular protesters who gather outside the main entrance every year, waving banners at the Scientologists who pour in from all over the world, in cars, taxis and on foot. A large part of the job of the security staff is to engage with protesters and be as friendly as they can. This is good practice because it defuses potential conflict. What’s more, they are experienced people who can see that the IAS protesters are completely non-violent and represent no threat to a team of well-trained strapping lads. The staff and management come over as nice guys who don’t want conflict and know exactly what the law permits them to do, and (more importantly) does not permit them to do. The Church of Scientology’s approach is not as reasonable. This aggressive approach continues when they arrive outside Saint Hill. For example, on the opposite side of the road to the Saint Hill entrance there was a public right of way – until the Church of Scientology planted trees there to make it inaccessible. There is also an area of public land to the right of the main entrance, going in, where protesters usually stand. In previous years, the Church told the two police officers present that this was private property and demanded protesters be removed. Unfortunately for the Scientologists, one of the protesters was equipped with extensive documentary evidence that this area was, in fact a public right of way. After seeing this, the police took no action. Scientology has been reduced to dumping planters full of flowers in the public area, to reduce the space where protesters can stand. They watch these carefully, in the hope that someone will give them the opportunity to complain about property damage. This isn’t a particularly clever tactic. Such things should not, of course, be left on public land because they represent a legal liability – a protester who tripped over a planter could sue for the resulting injuries – especially since the area is bristling with deliberately prominent security cameras. The private security people have a big problem. 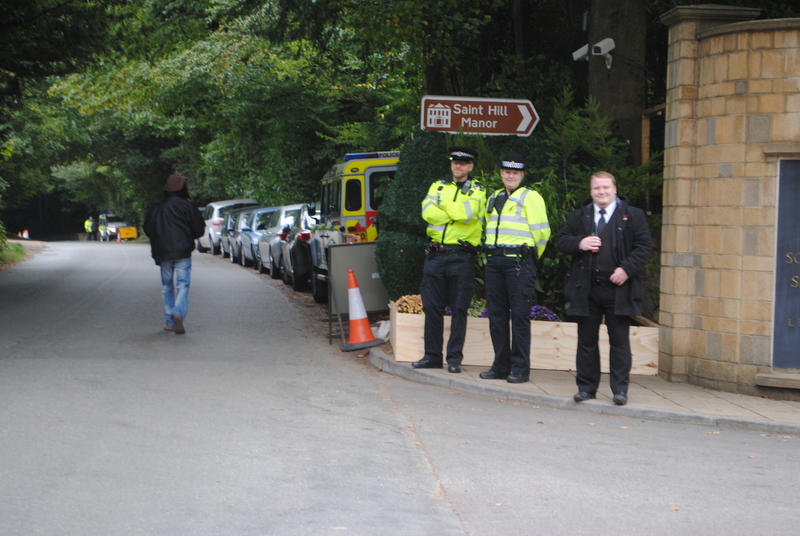 Saint Hill Manor is 50 acre site with a huge perimeter that is not defended by any form of security fencing. East Grinstead is a small town just outside London and local government planning departments simply would not give permission for such things to be erected. 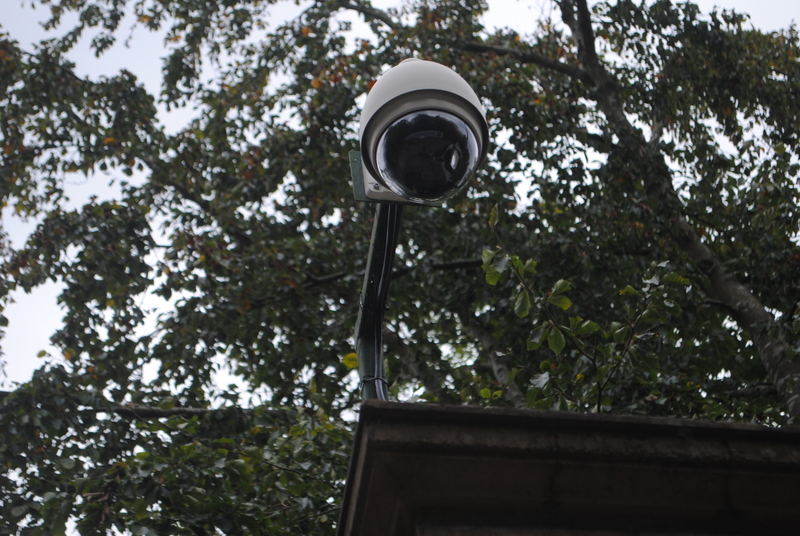 For long distances, the property is secured only by low walls, that a reasonably fit person can scramble over in a few seconds, and an extensive network of surveillance cameras. This has traditionally been an opening for the most ‘serious’ direct action by protesters. In previous years, they have climbed a wall or otherwise sneaked in, and walked through the site – something which Scientologists (especially the Sea Org) react to with utter horror and open aggression. The English law of trespass is quite clear in this context. 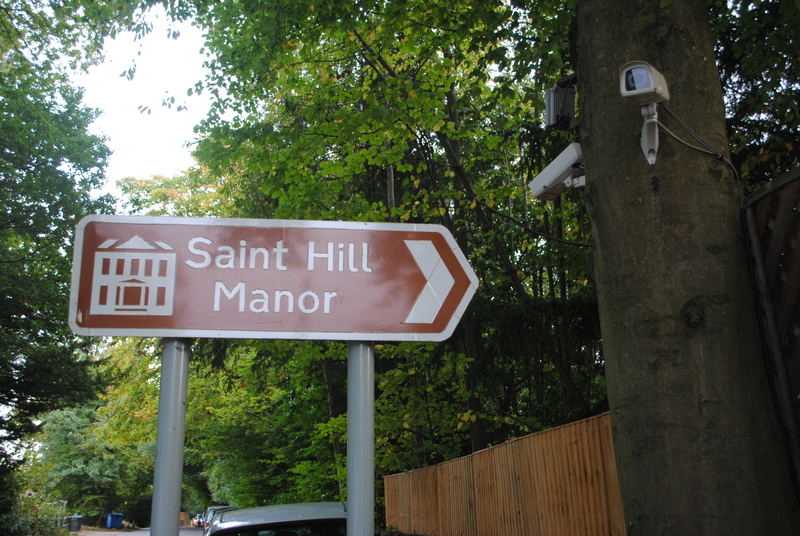 If you enter Saint Hill Manor and the owner does not want you there, they are entitled to require that you leave by the shortest practical route. If you decline to so this, they can summon the police, who can only arrest you if you don’t go when they tell you to. If anyone lays a hand on the trespasser, they have committed common assault. Consequently, as long as they don’t enter any buildings, damage or steal anything, the law protects the protester as much as the landowner. They can wander about for some time before the police turn up (covering each other all the while with video cameras at all times, just in case of false accusations). The Church of Scientology has responded to this ‘threat’ by contracting their security company to ‘protect’ their site by hiring over a hundred registered security guards for the entire duration of the event. Some manage the main entrance, others patrol the site and ‘protect’ the Scientologists inside – who might peak at just over 2,000. The rest are deployed at regular intervals around the very long perimeter. So that they can detect and intercept ‘incursions’ before they get in too deep. Scientology teaches that the outside world is a very corrupt and dangerous place, and that the Church is the world’s only hope for redemption. This adds to other pressures placed upon members to socially isolate themselves. In isolation people lose perspective, and that is is the source of great manipulative power. When they see a huge security presence, Scientologists can be forgiven for thinking that it is there for a genuine reason – to protect them from the degraded beings outside, for example. This reinforces their feeling that they are a special, embattled minority with a dramatic mission. In truth, the security staff are being used to keep Scientologists away from a small group of non-violent protesters because their fragile beliefs may not survive an encounter with the reality that SPs are actually reasonable people who would like nothing more than to engage with them. Also, I doubt it occurs to Scientologists that, according to their own doctrine, the security guards are themselves members of the corrupt society outside of Scientology. They should wonder why Scientologists can’t provide security services for themselves. After all, Saint Hill is home to many members of the elite Sea Org. Why does the Church need to employ mercenaries? The reason is that the Sea Org are untrained and far too arrogant and touchy to deal with the general public. They think they are superior and have the power to control lesser beings. Apart from not knowing how to do the job, their attitude can only lead to conflict and legal liability. The Church of Scientology seems to agree with this assessment. During a previous event, I was told that the Sea Org had been ordered to stay well back and let the professionals deal with intruders. I even got the impression that this was a condition of the contract – the company didn’t want to find themselves in the no-win position of having to witness in court against the illegal behaviour of of their own client (for example if a Sea Org member assaulted a protester on camera). It takes a lot of people to protect the perimeter of 50 acre site to the standard required. The security firm has the advantage of personal radios and a site that is bristling with surveillance cameras, but that only enables them to detect intruders. In order to prevent anyone getting in deep enough to move among Scientologists, the security company has to have a guards physically stationed at regular intervals along the perimeter so that a group of them they can move in quickly and intercept infiltrators – plus a reserve in case the opposition tries to distract them with decoys. Protesters don’t even have to do this very often (nobody even tried this year). They only have to be there to force Scientology to take heroic measures against the mere possibility. How Much Does This Operation Cost? You can find out a lot by chatting to the security staff themselves, and keeping your eyes open. The guards are paid £18 an hour. They work 12 hour shifts to provide around-the-clock coverage on Friday, Saturday and Sunday. 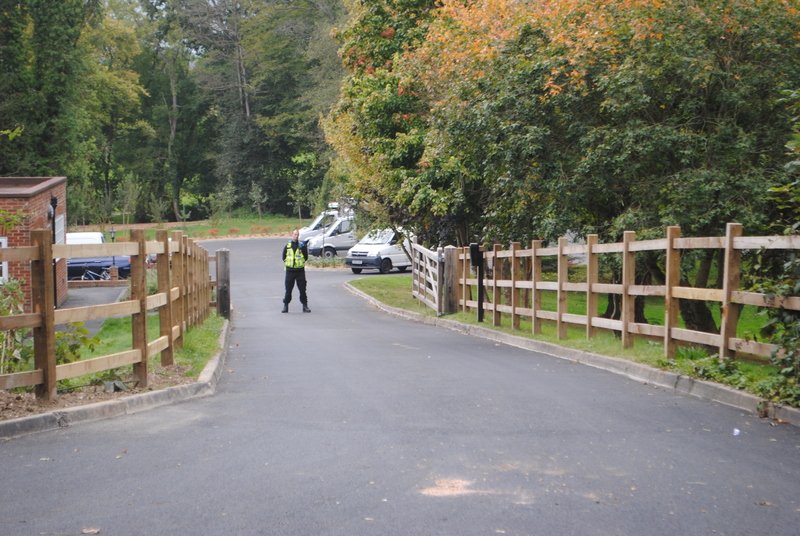 They provide highly visible security within the event as well as ‘protecting’ the perimeter. Staff will tell you that are at least 100 people on duty during the day so that they can maintain full coverage and provide legally required work breaks. Also (as noted above) police declined to be present this year, which may have caused Scientology to boost the numbers. There may well have been up to 130 security personnel present – but let’s be very conservative here, and go with 100. The company not only has to pay its staff, but also cover its expenses and overheads and make a profit. 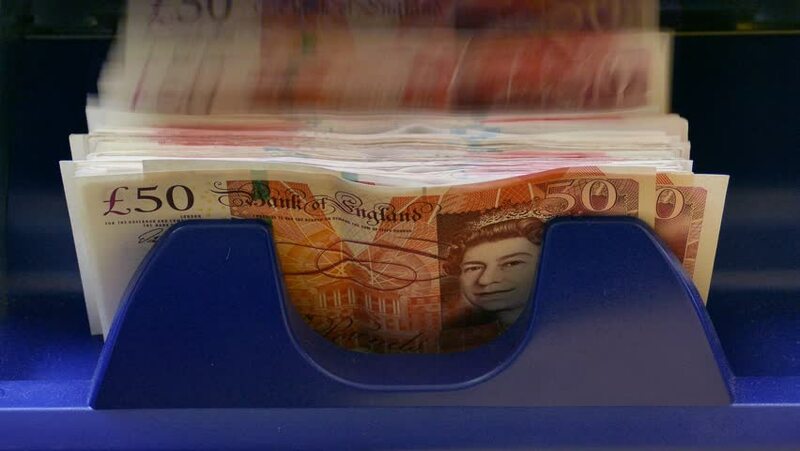 Lets apply a standard business rule of thumb here – to be worthwhile, you have to charge the customer three times what you are paying your staff – that’s £54 per person per hour. We can see that the levels of ‘security’ that Scientology demands for the IAS event, costs, at the very least, a total of £252,320 just for the staff. Add in the dog handlers, the cost of the metal detector and a lot of other logistical requirements that I can’t imagine, and it’s going to total a great deal more that that. It would be easy to double that figure, if your client was were particularly paranoid and demanding – which the Church of Scientology most emphatically is. 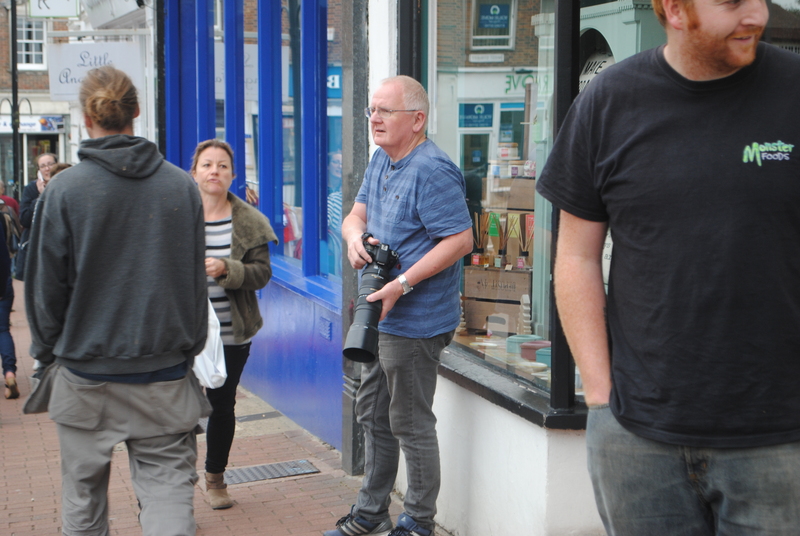 A small group of protesters, whom incoming Scientologists ignore &/or treat with open contempt, are costing the Church of Scientology tens of thousands of pounds at the very least, maybe the thick end of £100,000, just by being there. That seems to me to be a very useful day’s work indeed. I think an MRI scanner is the wrong kind of technology – the real kind, that actually works. Only the tech – Scientology tech – can detect body thetans* and exorcise them. *Body Thetan (AKA BT). A disembodied wandering soul which Scientologists only learn about when they have qualified and paid to receive the secret teaching known as OT3. In this, they learn that these entities are spiritually ‘stuck’ to their bodies, individually and in ‘clusters’, and that the traumas of their BTs interfere with the life of the person whom they are ‘stuck’ to. The aim of all of Scientology’s further secret teachings (currently OT4 through 8) is to sit on your own with an e-meter ‘communicating’ with your BTs so that you can persuade them to leave you, and find a new body for themselves. MRI scanners are incredible things – but I don’t think they can image malignant induced fantasies – at least not yet. Fascinating as always, but spotted a couple of typos ..
Has anyone ever complained to the Council about them blocking the right of way? I don’t know. A complaint from a local accompanied with detailed maps of the right of way and evidence that it is now blocked might force the council to restore it – although I’m betting you would have to go all the way to the Local Government Ombudsman. The costs of keeping St. Hill free of marauding SP’s are not high compared to the damage that these SP’s can do if they shared their websites, blogs, etc. Next year COB plans on hiring 500 security personnel and placing at least 1,5000 shrubberies around the perimeter of St. Hill. Damn. The one thing that can drive away SPs is shrubbery tech. 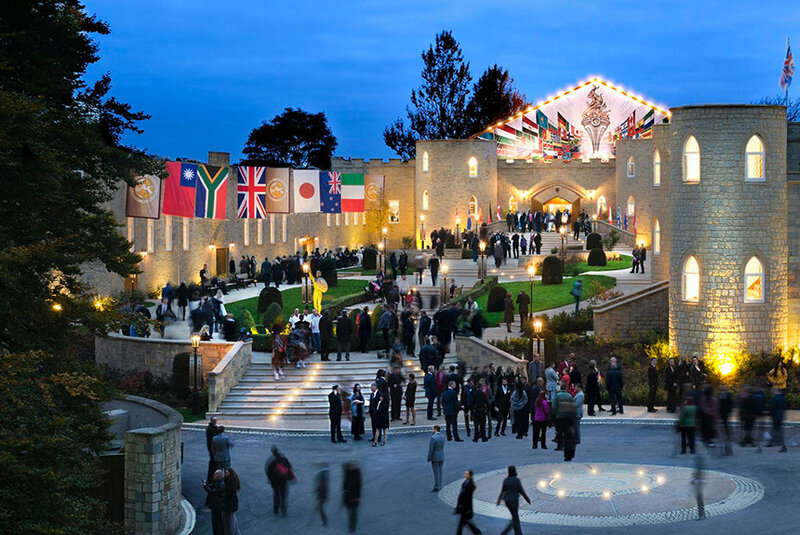 My next post (I’m writing it now) is a personal report from the opening of the new Scientology facility in the Republic of Ireland. They have just spent a fortune there on information control and ‘security’ for Miscavige. In the process, they have right royally pissed off the Irish people and their national press. Welcome aboard, and watch this space. As we found out at Scientists Now Say, science is very expensive. Once you factor in the combined cost of all the science they do and the cost of “managing protests” it is amazing that they can stay afloat financially. Critics and specialised journalists theorise that much of their income today comes not from their declining membership, but mega-rich members whom they flatter and carefully cultivate in order to extract huge sums of money from them. Scientology also has billions of dollars in reserve, from better days, and is currently engaged in virtually asset-stripping its existing members. In the UK a second mortgage on a modest house can net them in excess of £100,000 – it’s just a question of how ruthless you are prepared to be – and ruthlessness is built into Scientology’s very doctrine. But what are they doing with all the money? What is the end game? Is it all about a sense of power and purpose for those up high? I have pondered this. Initially, I looked for rational reasons, but eventually decided that this was a mistake, because Scientologists evidentally do not do things for rational reasons. They do things according to the irrational teachings of L Ron Hubbard. My take is that Hubbard struggled financially before he made astonishing amounts of money out of Scientology. You would think he would be satisfied. However, many people who have been poor are also insecure, and no sum of money is ever enough. Also, money is power, and Hubbard was driven, above all, by the acquisition of power over others. After Hubbard died, and David Miscavige took over, everything was frozen. Scientology, as written down by Hubbard, was deemed to be unchangeable, eternal wisdom. Hubbard’s policies, then, expressed an imperitive need to accumulate money, and this blindly continued after his death. The only reason to do thi is because they have always done it. It’s not rational, but there it is. As a result, like the Disney character Scrooge McDuck, Scientology has accumulated several billions of dollars to no discernable purpose. I see. An objective taken to the extreme for no specific reason. Helped along by a leader highly questionable on many levels. I suppose once you have become the leader of Scientology, the only way to then be ‘successful’ is to either garner a true following and help people or create an idea power and respect through a combination of money and fear. If DM decided to jack it all in then what would he be? Sad, angry and lonely. It gives him purpose and meaning. This I believe, is a common theme among megalomaniac. It’s like the kid at school who bullied other kids because he didn’t know how to make friends. Miscavige was in Scientology from a very early age – his father impulsively brought them to Saint Hill Manor in England (then the centre of the Scientology world) before he completed the most basic education and he became immersed in the sub-culture. 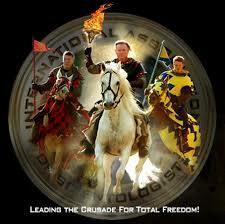 Scientology is all he knows, and he seems to define himself by this position of power. He can’t give it up, or he would cease to exist in his own mind. The reason Scientology’s behaviour is so random and irrational is that such a man is in charge, out-of-touch with the grass roots, and surrounded by sycophants who dare not contradict him in the slightest. Like the dictator of Romania, Nicolae Ceaușescu, he will never abandon power. If the authorities ever do come for him, he will also be dragged away protesting that they should be thanking him.